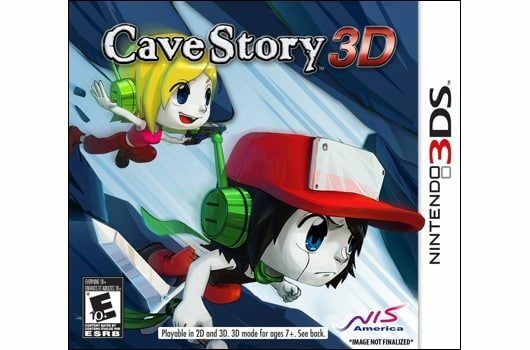 After a week of teasing, NIS America and Nicalis Inc. have today finally unveiled the box artwork for upcoming Nintendo 3DS title, Cave Story 3D. It features central protagonists Quote and Curly Brace as they lunge towards the Nintendo 3DS spine, although NIS America are keen to point out that it isn’t currently finalised and may receive further tweaking. Still, I think they’ve done a nice job! In addition to this, the publisher has pushed the title back from its previously scheduled June release – now dating the North American launch for August 9th, with a European release in September.